ClearStream TV is a digital TV tuner with a twist: It tunes in over-the-air television broadcasts (with the help of an antenna you purchase separately), but instead of sending the programming directly to your TV, it streams the video signal over your Wi-Fi network. Install the ClearStream TV companion app on your favorite streaming device, smartphone, or tablet, and you can watch, pause, and rewind live TV. I’ve been using it for a week and discovered some of its quirks and advantages. ClearStream TV looks like an oversized USB stick. It houses an ATSC TV tuner for North American over-the-air broadcasts, plus an 802.11n Wi-Fi adapter. 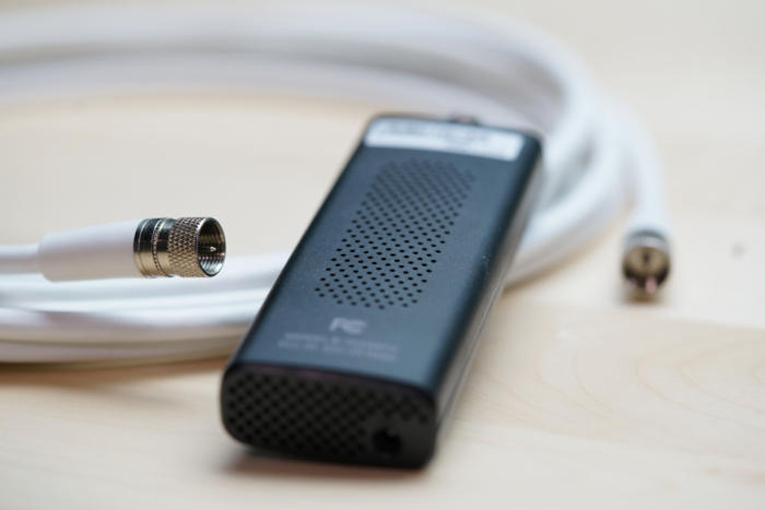 The tuner doesn’t support the QAM standard (neither encrypted or unencrypted) that the cable-TV industry uses, so you’ll need to provide a digital TV antenna to pull in your local broadcasters’ signals. 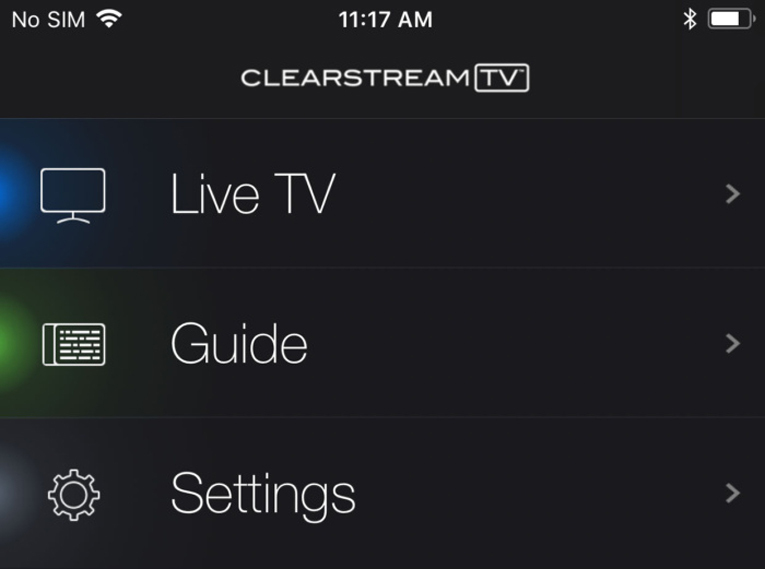 The ClearStream TV’s output can be accessed only on your home network, and you’ll need an app to watch it. ClearStream TV manufacturer Antennas Direct has a free one available for devices running Android 4.2 and above, iOS 8.4 and up, tvOS 10.2 and above, and Roku 7.5 and higher. On first use, you must connect your client device to the tuner itself over Wi-Fi and use the app to connect it to your home Wi-Fi network. Once that’s done, you can reconnect via your Wi-Fi network and set it to scan for channels. This takes a while: up to 6 minutes on a scan in San Francisco. I tested this out on the Android and iOS apps and found the iPhone app to be a bit more polished than the Android app, but they both had shortcomings. One of those areas is the initial channel scan. The channel list is local to your device, rather than the tuner, so you need to scan every time you install the app on a new streaming box, smartphone, or tablet. That’s a hassle but only one you’ll occasionally confront. The app is simple to use. There are only three menu items: live television, a TV-programming guide, and the settings. To watch TV, you just click the “Live TV” menu button and a few seconds later the channel appears. Both apps show live TV above a program listing, but the iOS app allows you to scroll through the guide for all channels. On Android, you just get to see what’s on the channel you’re watching. Changing channels on both apps is a clunky experience. Unlike a regular TV, where the picture changes quickly as you channel surf, you’ll have to wait several seconds before the picture appears on the ClearStream TV. That’s because the video-decoding process restarts each time the channel is changed. It’s even more annoying if you’re watching through a Chromecast. The connection drops each time the channel is changed, forcing you to hit the Chromecast icon, choose your screen, and resume casting. Antennas Direct said that’s due to the way the system is designed. The device can be accessed by one user at a time, and since it’s a single tuner, it can be tuned to only one station at any one time. 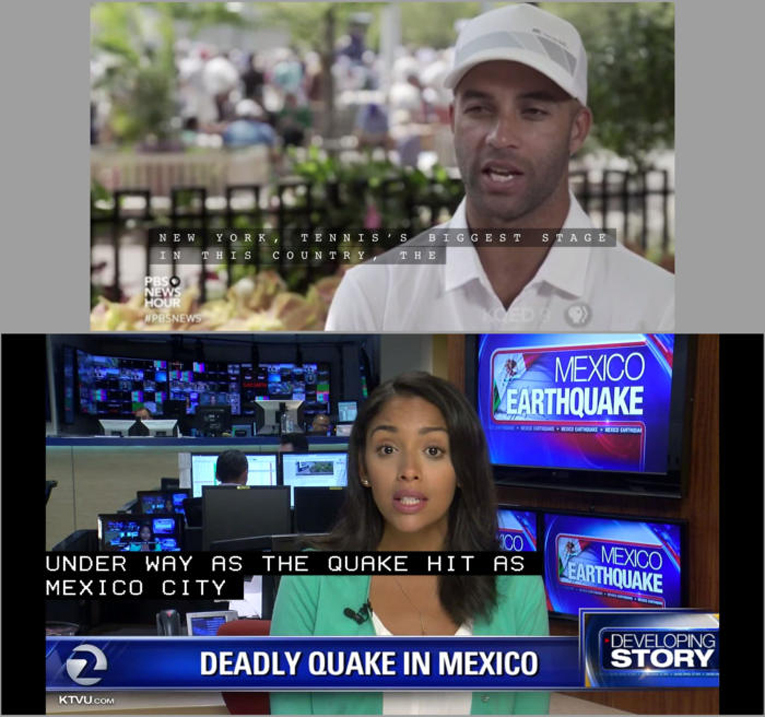 Both the iOS and Android apps support closed captions. On the iOS app you can choose between four CC streams—useful for programs with multilingual captions—while the Android app just takes the main CC stream. But captions are much easier to read on Android devices. 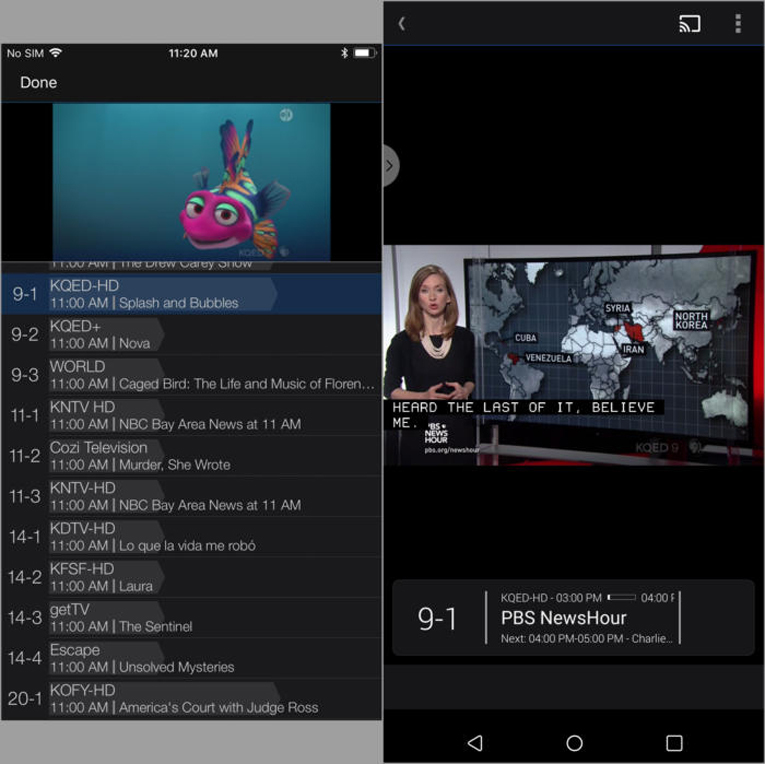 Both apps can buffer up to one hour of live TV, so that you can pause and rewind live TV. An entry in the settings app lets you determine how much storage space this feature uses, with the default being 2GB on iOS. The Android app doesn’t state how much storage is required. But this is not a DVR function. There’s no way to record TV shows, either as you watch them or when you’re not streaming. And it runs hot. Really hot. After a few hours of use, I measured the temperature of the device at around 55° C (130° F). That’s hot enough to make you want to drop it when you touch it and much hotter than most electronic devices.Antennas Direct says it plans to increase the cooling vents on the tuner stick in the future. I really like the idea of the ClearStream TV. It’s an easy way to get an over-the-air TV channel to any screen in your house without running cables. It could also help to wean cord cutters off their cable company’s live streaming app by putting TV on a tablet or phone. It does its basic job well, but I found the constant restarting of the Chromecast stream and the inability to properly channel surf to be an annoyance. 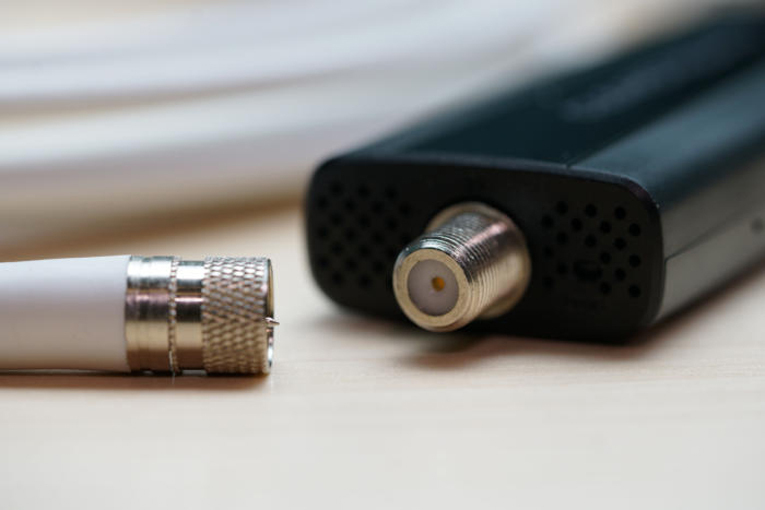 If you’re a heavy TV watcher and want to be able to access over-the-air TV around your house, you might be better off with a more capable networked tuner, such as Silicon Dust’s HD HomeRun (along with Plex DVR, if you want to record TV). If you’re a more casual viewer and you don’t about DVR—but you do want to watch TV on different devices in your home—the ClearStream TV might be right for you. The ClearStream TV succeeds in its job of getting over-the-air TV on your streaming boxes and mobile devices, but the software lets it down.